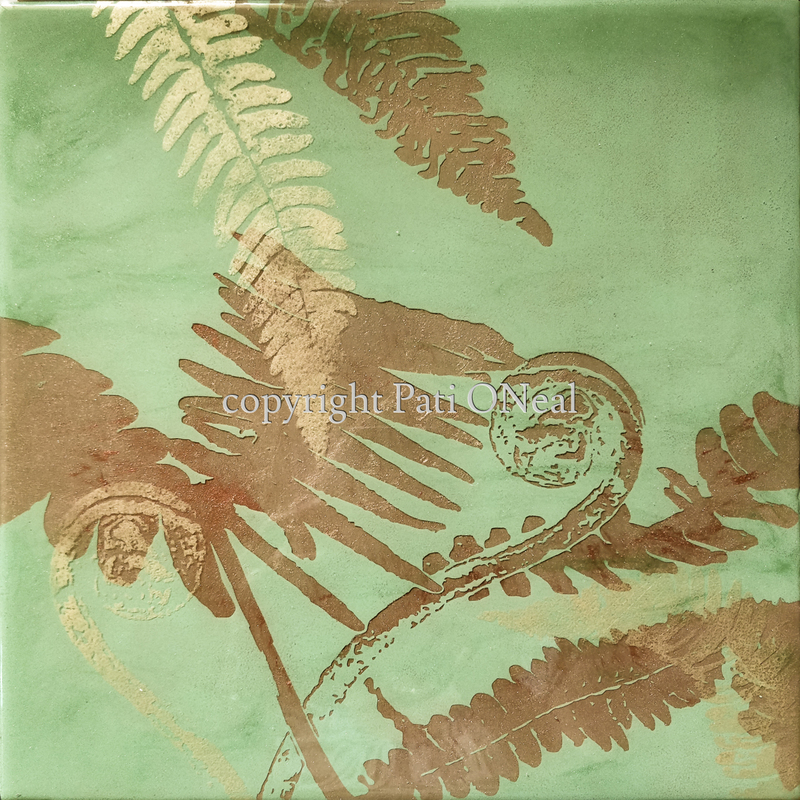 An abstract piece representing pohole or ho'i'o ferns you come across while hiking to Paliku. The final appearance is created through the application of multiple layers. This original work is currently at Sunshine Arts in Kahalu'u, Oahu. For a similar commission contact the artist.